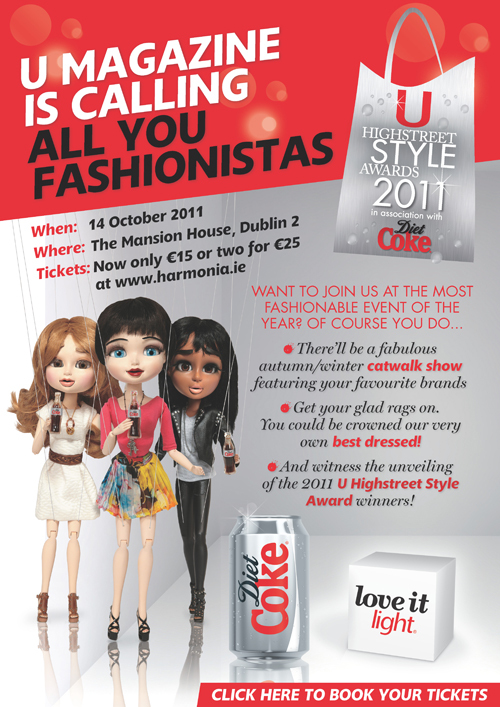 Im delighted to announce that I will be attending the Umagazine Highstreet Style Awards in Dublin this evening. I was surprised and delighted when I saw an invite in my inbox, including a guest pass! Well in my opinion there's no better man to have as arm-candy on the night then the dashing Byron Yeates! Umagazine Highstreet Style Awards is back for a third year and bigger than ever. The U Highstreet Style Awards in association with Diet Coke are back for the third year, with what promises to be an even bigger and more glamorous event than ever before. Taking place in the Mansion House on Friday October 14th the awards will be presented by U Magazine editor Jen Stevens alongside U Magazine publisher and star of RTE’s Dragons Den, Norah Casey. Accolades will be presented to the highstreet stores who are judged to be the best of the best. A total of 12 categories can be voted on and among them are best jeans, best shoes, best accessories and best value. Public voting had been taking place over the last number of weeks and the race the Overall Best Highstreet Store is heating up. The awards will feature a fashion show with all the trends for the Autumn / Winter season ahead, followed by the awards ceremony. Seen as there is an some amazing prizes on offer for best dressed lady on the night, I'm going to dress to impress! I will be wearing a wonderful black and white floaty maxi skirt by the amazing Harlow&Harvey label, styled with a simple black high street top with an exposed plunging back. To make the outfit really stand-out I am wearing a multi-chain necklase backwards, so rather than being at the front, the chains cascade down my exposed back! Im really happy with the outfit and cant wait to put it on and have a good time for myself! Byron will be wearing the most DIVINE vintage Yves Saint Laurent shirt, a neutral colored blazer, and grey chinos.... oh la la!! Better pop off now, lots to do before we get the bus, very excited... A night of fun and folly awaits! Also Byron is picking up a snazzy new camera today, so we'll be going mad with the photos, don't worry! 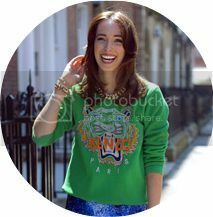 I've just discovered your blog through your Lookbook, it's always nice to find fellow Galway fashionistas! Thanks Lucy, we had an absolute ball, post coming soon! And thank you so much for your kind words Aisling, i'll be checking out your blog right away!